Good time management skills are an important component that helps determine success in business. While this applies in virtually every field, it’s especially true in the commercial real estate industry where brokers are expected to meet with clients throughout the week. 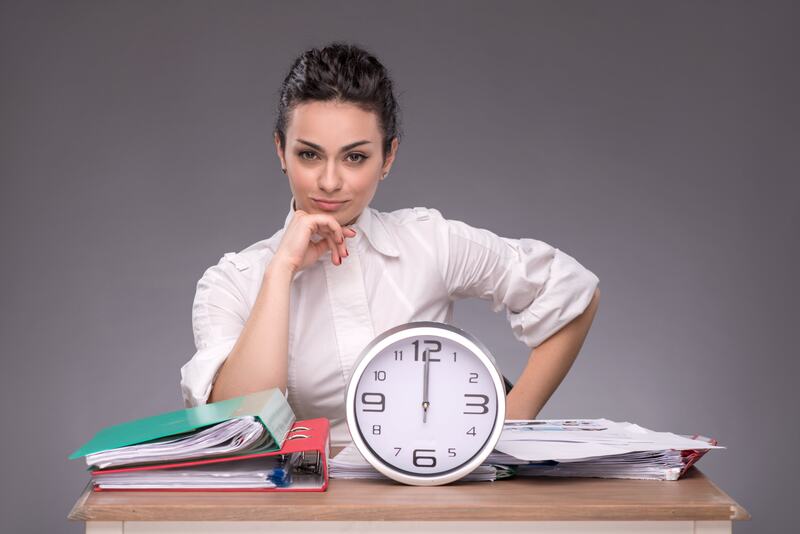 Being known as someone who’s always a latecomer may affect the way that some people view your work ethic, and could even cost you an important deal. Making your time more productive and efficient may seem like a difficult task to undertake, but it’s actually not hard at all. All you need to do is take a look at how you’re allocating your time and see where there’s room for improvement. Sit down and think about how you spend each day. Write your work schedule down on a piece of paper, breaking it up into hour increments. Be critical and concise in your writing; if you spend time browsing social media, write it down. Also, make sure that you cover every day that you work during a week. Once you’re able to see how you spend the average work week, look at ways to be more efficient. Consider cutting out unnecessary actions like networking on Facebook and LinkedIn, and what you can do to increase your productivity. Set a schedule that dictates when you do what. While the nature of CRE means that you need to always be flexible to change, allocating different parts of the day to different actions can help you establish a general routine. Use your mornings for prospecting, lunchtime hours for networking, and the afternoon for property tours and doing paperwork. Don’t be afraid to take some of your paperwork home to complete in the evening if you must. You can further master the art of time management by making a schedule and sharing it with your clients. Let your clients know between what hours you plan on returning phone calls and how frequently you plan on emailing them. Stick to your routine – your clients will respect it and you’ll become more organized. If you’re working with a team of professionals under your authority, then utilize them by delegating any assignments they can handle. They can work on the background tasks while you focus on the important tasks. By doing this, your operation will be more productive and effective. Using a CRM is an excellent way to help you stay on top of your obligations and better manage your time. ClientLook is the industry’s top commercial real estate CRM that helps you get the most out of your time, so that you can work smart rather than hard. It allows you to organize and track every lead or correspondence between you and a client, which enables you to walk into every meeting prepared and ready for business. You even get a Virtual Assistant that’s included free. Everything you need, from contact information to deals and property information, is presented on one easy-to-use platform that can be accessed from your computer, phone, or portable device. You can even boost the productivity of your marketing campaign by integrating tools like MailChimp into the platform.